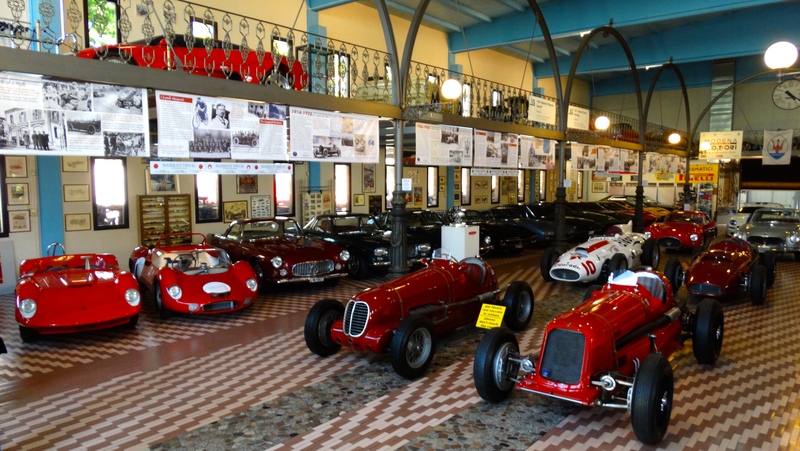 Maserati, the Italian sports car maker that just completed celebrating 100 years in existence, doesn’t have a museum. 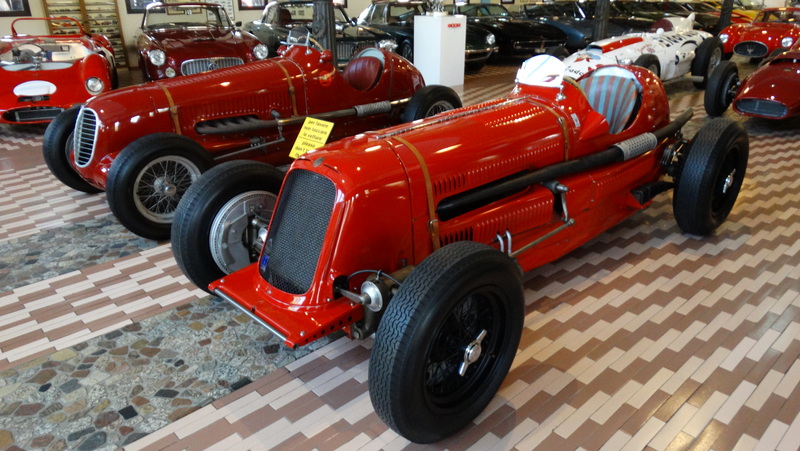 It once had one – a wonderful collection started by the five Maserati brothers themselves. But due to the controversial machinations of former company owner Alejandro de Tomaso, the museum is gone and the company no longer owns any of the historic models that were featured in it. There are collectors who own large numbers of Maseratis, but many of those vehicles are not available for public viewing. Neither are they particularly important collections. 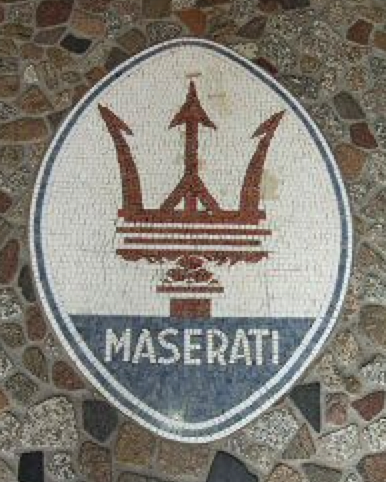 So, where can a Maserati fan go, to see the best selection of historically significant Maseratis? The private Collezione Umberto Panini museum (open for public viewing via appointment) belongs to the Panini family, and it was the passion of patriarch Umberto Panini, who died a few years back. His sons carry on their father’s memory, by maintaining that wonderful Maserati Collection (as it is officially called), assorted other classic cars, motorcycles and tractors in and around the lavishly appointed converted barn. Yes, this is the cheese! 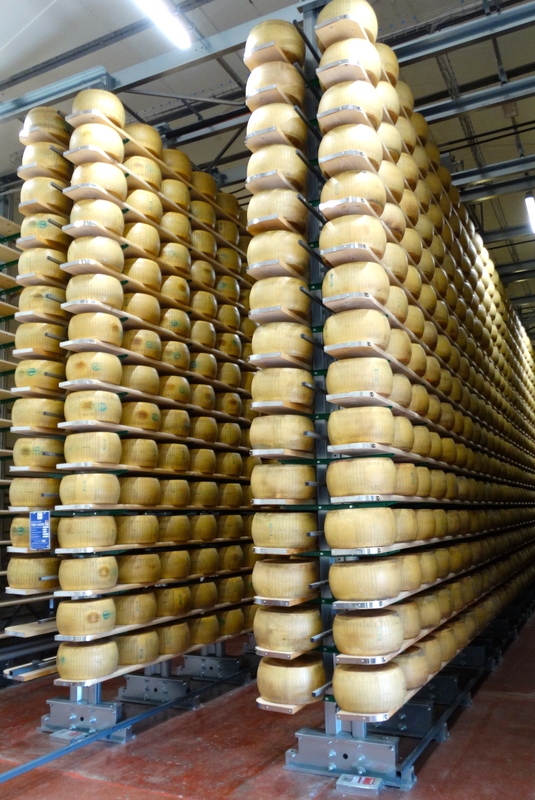 The farm also makes a very fine Parmesan cheese! The Maserati Collection was first established by the five Maserati brothers (a sixth wasn’t part of the automotive business), who started making cars under their own name in 1926; the collection was later expanded to 17 vehicles by Omar Orsi, son of another former Maserati principal who had opened a popular public Maserati museum in Modena. The Collection currently includes 23 Maserati vehicles, which are regularly on display; another three vehicles are undergoing restoration. 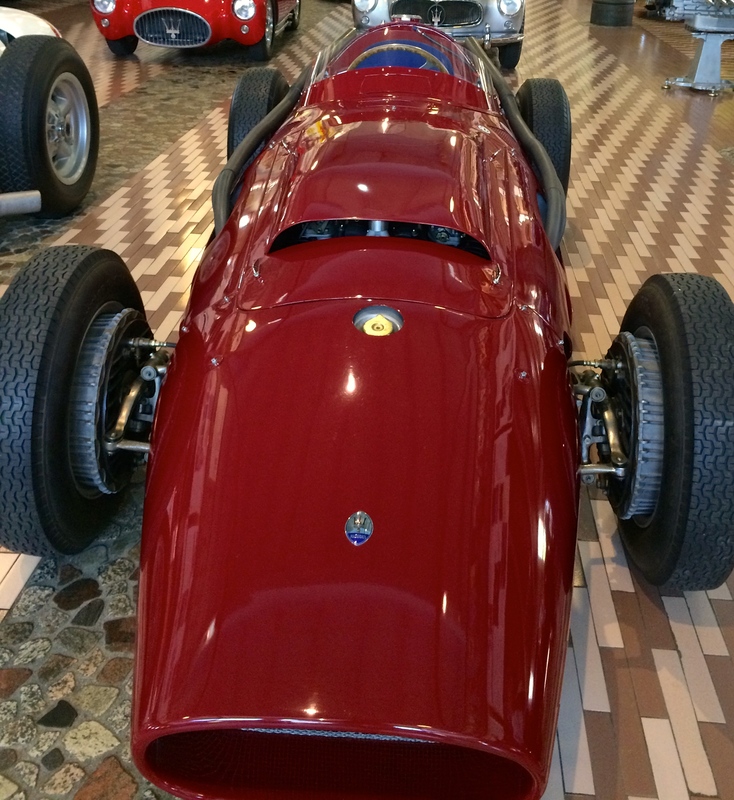 Also, of equal importance is a 250F driven to Formula 1 victories in 1954 by Juan Manuel Fangio, a Tipo 61 Birdcage – with its exceptional frame comprised of 200 tubes in special alloy welded together for an overall frame weight of just 80 pounds, and its distinctive Drogo bodywork. There is also the 420M58 – the famed “Eldorado” used in 1958 by Stirling Moss in his battle for one of the top spots during the Monza 500 Miglia. And the enormous “Chubasco” prototype, which sadly never was approved for production. There is quite a cliffhanger story about how Panini, who made his fortune selling stickers and collectible sports cards, acquired the Collection. The company was on the verge of liquidating (not for the first time) in 1993, when de Tomaso decided to sell out; at risk was not only the company, but, critically, the firm’s collection of 17 rare and historically significant vehicles. Although de Tomaso sold his stake in the company to Fiat, “De Tomaso had one sting left in his tail,” according to Maserati’s official company history. He disclosed that the Maserati Collection cars, on display in the museum that Orsi had started in the early 1960s, were not included in the sale. I was very fortunate to visit the Panini Farm & Maserati Museum last Month outside of Modenas; September 2016. As a Maserati Fan & Owner I have never spent such a wonderful few Hours looking at these perfectly presented Cars in such a great Environment. The Owners/ Guide could not have been more helpful! Well worth a visit, indeed. Very memorable.